Cavs Cavs Archive What Will The Cavs Do With The No. 1 Pick? So let’s try to figure this all out as best we can. If the Cavs stay at No. 1, there are a handful of players that seem to be the likely pick. But, as Phil Keoghan reminds us each week on The Amazing Race, each choice comes with its own set of pros and cons. 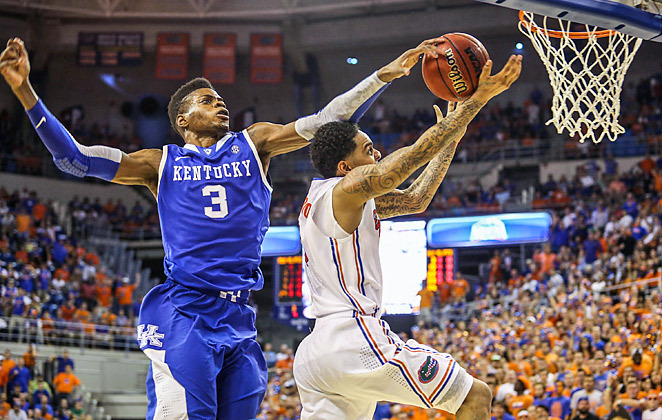 Kentucky’s Nerlens Noel would seem to be the logical pick, especially with a defensive-minded coach like Mike Brown back in charge of the Cavs. Noel has been described as a “scary” shot blocker and excellent rebounder, a player that blocked 106 shots and averaged 9.5 rebounds per game in 24 games with the Wildcats. Noel is also an efficient shot blocker, as 47 percent of his blocked shots last season were recovered by a Kentucky player (according to NBA.com). A player that knows how to block a shot that leads to his team gaining possession, rather than just slapping the ball into the third row, is a nice skill to have. The argument against Noel is he has virtually no offensive game, is a horrible free throw shooter (52.9 percent) and, despite being 6-foot-10, weighs only 206 pounds. He’s only 19 so it seems likely that he will put on weight as he ages, but will he make it long enough to actually reach a point where he can mature? There were times when Tyler Zeller struggled against bigger players last season and he outweighs Noel by more than 40 pounds. Then there’s the questions about Noel’s knee. He tore the ACL in his left knee during his freshman season (could be a big deal), injured a growth plate in the same knee while in high school (may not be as big of a deal according to a Cleveland Clinic doctor) and won’t be ready to play until sometime in late December at the earliest (not really a big deal in the long run). 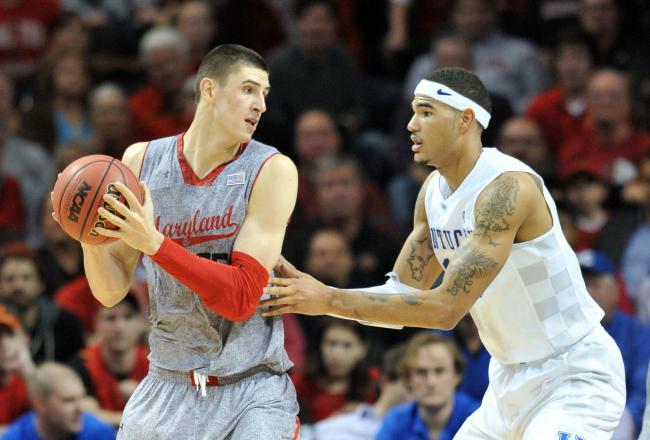 If the Cavs pass on Noel they could take Maryland center Alex Len, who has been compared to former Cavs center Zydrunas Ilgauskas (in more ways than one). Len is an “improving” offensive player who doubled his scoring average from his freshman to sophomore year, although that meant he still only averaged 11.9 points per game. He was also named to the ACC’s All-Defensive team after leading the conference with 78 blocked shots. On the con side, Len’s numbers really are not any better than Noel’s, other than he has a better field goal percentage (68 percent vs. 59 percent). There is also this assessment from Kevin Cowherd in The Baltimore Sun, who wonders why the Cavs would ever consider taking Len with the top pick. (h/t to WFNY for the link). Oh, and remember the comparison to Ilgauskas? Len suffered a partial stress fracture in his left ankle and underwent surgery on April 27. He is expected to be out of action for four to six months, which if it is six months puts him into late October before he can get going again. Len says he rehab is going well but big men and ankle injuries have not historically been a good combination in the NBA. 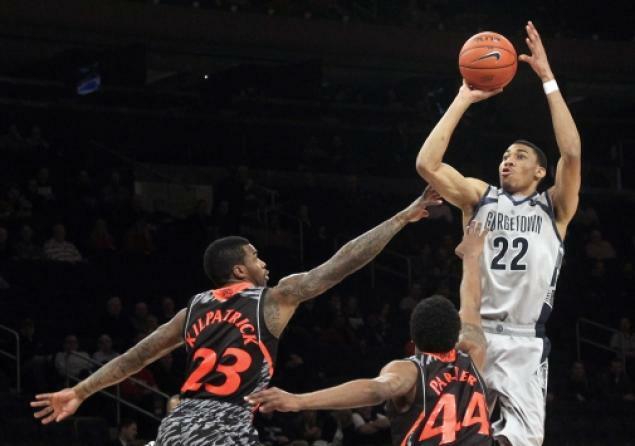 If the Cavs are worried about the injury history of Noel of Len, then Georgetown’s Otto Porter could be the answer. The Big East player of the year as a sophomore after averaging 16.2 points and 7.5 rebounds per game, Porter has been referred to as probably the “safest” lottery pick, which has lead some to decide that he is not “worthy” of being the top pick. Syracuse coach Jim Boeheim, who knows a thing or two about basketball, called Porter the best small forward to ever play in the Big East. Wait, why are the Cavs not taking Porter again? It seems to come down to the fact that Porter is not considered an “elite” athlete, nor is he a player with “tremendous upside.” With Porter, what you see is what you get, and that turns off many draft pundits. It’s also the kind of thinking that leads NBA general managers to continually make bad picks because they value potential over production and end up using lottery picks on Dajuan Wagner and DeSagana Diop. Thankfully, Chris Grant seems smarter than that. If the Cavs decide that they can hold off on adding pieces to the front court, they may turn their attention to a pair of shooting guards: Indiana’s Victor Oladipo or Kansas’ Ben McLemore. Oladipo is considered a “lockdown perimeter defender” who showed considerable improvement in his offensive game as a junior. Mike Brown probably stopped reading after seeing the phrase “lockdown perimeter defender,” and Oladipo is also a player that plays hard every night – something that can’t be said of the Cavs over the past couple of years. 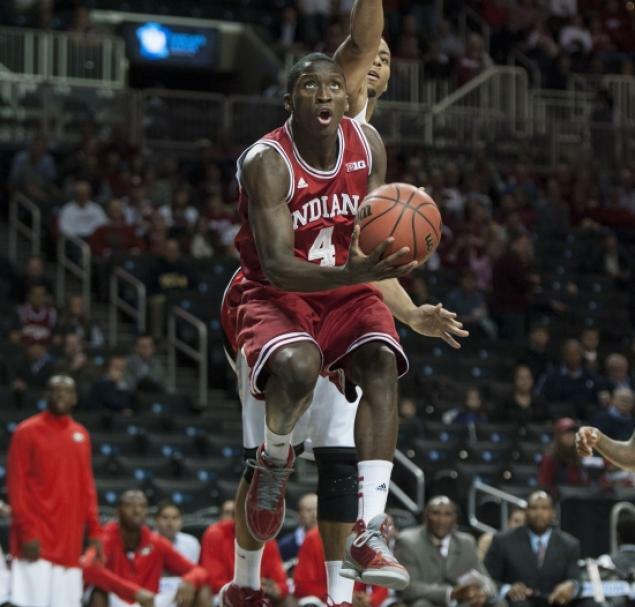 On offense, Oladipo led the Big Ten in field-goal percentage and made 64 percent of his two-point field goal attempts last season. He also improved this three-point shooting, hitting 44 percent of the time. The knock against Oladipo is similar to the criticism of Porter: he may only be a “very good” player at the NBA level rather than a “superstar,” so he may not be worthy of the top pick. If Oladipo is 1A on the list of shooting guards then McLemore is 1B. McLemore is athletic and a very good shooter (49 percent on field goals, 87 percent on free throws) and is considered a primary scoring option. He also overcame an incredibly difficult time while growing up and comes across as a level-header person. 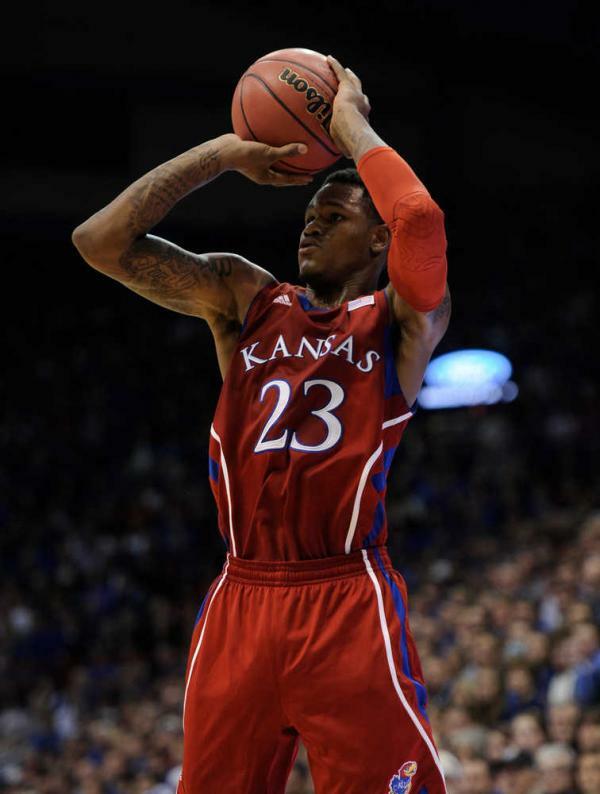 As good as he is, there are concerns that McLemore defers too much on the court – he only took 26 shots total in a four-game stretch that included the Big 12 Tournament and the opening weekend of the NCAA Tournament – and there were times that Kansas coach Bill Self had to actually ask McLemore to take over games. You have to wonder how that level of timidity will translate at the NBA level. There is also some concern that the Cavs can’t take a shooting guard just one year after drafting Dion Waiters with the No. 4 pick. Not to bag on Waiters, but outside of Kyrie Irving there isn’t anyone on the Cavs that can’t be replaced in the starting lineup – losing 166 games over the past three seasons ensures that. What if Grant decides there simply is no one that he wants to select at No. 1? Well, there have been more rumors than prospects over the past few weeks surrounding the Cavs and their draft picks. At times it has been hard to keep up with what the Cavs are reportedly doing, but here are some of the more prominent rumors. First there was talk that the Cavs want to offer multiple second-round picks for Boston’s Paul Pierce. (No word on if the Celtics were willing to throw in Pierce’s wheelchair for the next time he milks an injury). Pierce is certainly a name that even casual fans have heard of, but he will be 36 by the time the season starts and he doesn’t really offer any long-term success to the Cavs (unless you are a fan who longs for that No. 8 seed). The Cavs also reportedly offered both of their first-round picks to Portland for 27-year-old LaMarcus Aldridge. Minnesota’s Kevin Love? The Cavs reportedly offered the No. 1 pick, Waiters and Tristan Thompson for Love, a player who can opt out of his contract in 2015 and only played 18 games this past year after breaking his hand doing knuckle pushups. There has also been talk that the Cavs would be interested in getting into the discussion if Chicago decides to trade Luol Deng (unless the Bulls decide to sign Deng to a contract extension). It is worth noting that Deng missed the Bulls’ playoff series with Miami (and the last two games of the first-round series with Brooklyn) after having complications from undergoing a spinal tap. Yeah, sounds like someone the Cavs should be considering. The underlying theme through most of these rumors, at least from a national perspective, is that the Cavs are “desperate” to trade out of the top spot and must do something, but they are being selfish and asking for too much in a trade. But the Cavs worked hard to get in this position and it is there right to maximize the asset that is the No. 1 pick as much as they possibly can. And if other teams are interested in acquiring the top pick, doesn’t that make it valuable? For a franchise that has been more bad than good and has had more than its share of bad luck, the Cavs have nailed it every time they have held the overall No. 1 pick. From Austin Carr in 1971, through Brad Daugherty (1986), LeBron James (2003) and Kyrie Irving (2011), the Cavs have been able to select a player that has had a major impact and help push the franchise in the right direction. Not to put too much pressure on Grant, but that is what he has to do with this pick. If the Cavs have any hope of getting out of the lottery and became a relevant NBA team again, Grant needs to turn this No. 1 pick into the type of player that is going to help take this franchise to the next level. Whether that player is someone the Cavs draft or someone they acquire in a trade for the pick, remains to be seen. So what are the Cavs going to do? We really don’t want to see the Cavs make a trade, unless it is a trade where they just move down a couple of slots, but that doesn’t seem to happen much in the NBA. We can’t really put a concrete reason behind that feeling, but it just doesn’t seem like a trade is the proper way to go. Out of the prospects that seem most likely for the Cavs to select, the only one we would really be disappointed in seeing them take is Len; the foot injury is a concern and he just seems to be rated a little too high. As for the rest of the group, we’re going to fall back on our trust in Grant. It doesn’t matter what the “experts” say or what the consensus is, there has to be at least one great player out there among all the draft eligible players and all Grant has to do is find that one player that fits the Cavs system. And that player is Nerlens Noel. If the doctors at the Cleveland Clinic checked him out and said there shouldn't be any issues, then he seems to be the right pick for this team. Noel can anchor Mike Brown's defense and clean up when Irving or Waiters get lazy on defense and let their man slip by. Simply put, he can be a difference maker on the defensive end and, even if he doesn't turn into a huge offensive threat, the Cavs can surround him with enough scorers to make up for it. Grant needs to get this pick right – the future of the franchise may not hinge completely on this pick, but it is pretty close. Get this one right and we’re (hopefully) not talking lottery picks for awhile. Get it wrong and ... well let’s not go there right now. 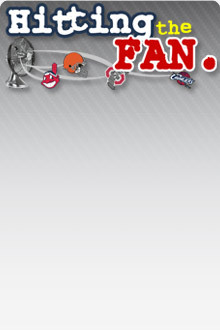 Draft time is generally the best time in Cleveland sports. Thursday night in Brooklyn, Grant can help change that for the Cavs.